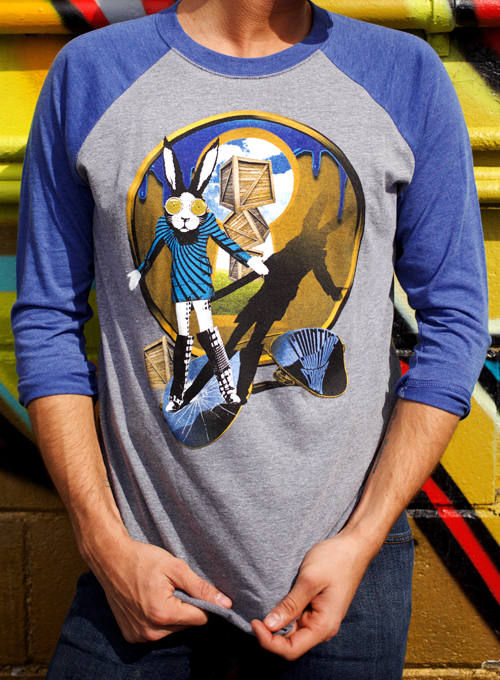 I can't stop thinking 'bout this Counting Crows raglan baseball tee. Fanciful rabbit trip art evokes the surreal video for the hit "Accidentally In Love." One of our most popular shirts!